Paul Doody to develop high quality marketing campaigns at Domino Printing Sciences. 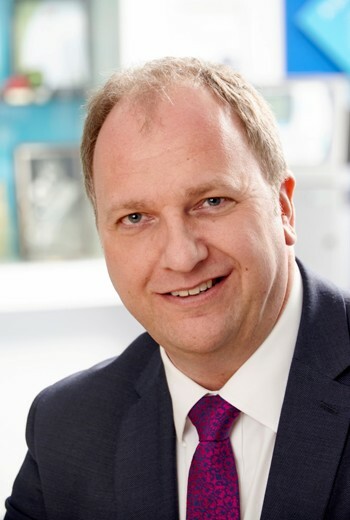 Domino, which develops and manufactures coding, marking and printing technologies, has appointed Paul Doody as Global Marketing Director at Domino Printing Sciences. The role will see Paul bring his extensive experience as an entrepreneurial leader to define and drive successful marketing campaigns for the company. Paul began his career in project management at Unilever in 1990. This was shortly after receiving a BEng with honours in Materials Technology at Coventry University in the UK. He later went on to also undertake and complete a PhD, as well as an MBA at the Henley Business School. Throughout his time at the consumer goods multinational he played an active role in the development of a series of European projects and was a keen advocate of innovation processes. Doody’s subsequent move to Linx Printing Technologies in 1998 saw him accumulate a number of key marketing responsibilities over the course of sixteen years including, directing strategies for new product lines, conducting industry analyses for product development and implementing global launch plans. As the company’s Global Marketing Director, he was responsible for worldwide communications and product launches. It is this wealth of experience and knowledge that he brings to his new role at Domino, along with a healthy dose of enthusiasm and creative flair.